CON DEHOR - A pochi chilometri dal centro, nella zona ovest della città di Roma, sorge il Ristorante Il Tamburello di Pulcinella. Un ambiente cordiale ed accogliente, arricchito da un arredamento particolare e caratteristico. La struttura dispone anche di graziosi tavoli nella parte esterna. SPECIALITA’ DELLA CASA - Il piatto forte del menù è sicuramente rappresentato dalla pizza. Cotta nel forno a legna e preparata seguendo la tradizione napoletana, con ingredienti freschi, genuini e di qualità. NON SOLO PIZZA - Da provare anche i primi piatti e i dolci artigianali, tutti davvero squisiti. Fantastic meal. Fantastic service! High light of our trip. Wonderfully engaging and friendly people. The six of us asked our servers to pick antipastas for us, and we were delighted with their choices. All of us enjoyed our respective entrees. We cannot recommend this restaurant enough! The food was amazing, as was the service. We really enjoyed the family atmosphere of the place. You must try the Tamburini dish! Great Hosts & Great Food Would Highly Recommend. Absolutely fantastic restaurant, family run with the mother and father cooking the most amazing home traditional Italian dishes and the sons out front serving with a very friendly attitude. Wonderful ambiance and very reasonably priced. Would recommend this place to anybody and will certainly go back. Unpretentious, family-run restaurant. Service was friendly and helpful. Food was amazing - particularly the gnocchi and risotto dishes. House red was delicious. Meant to save room for dessert but didn’t manage. Would definitely go back. Small number of tables. Reservations needed - they turned people away. Charming family restaurant. The host is fantastic, friendly and enthusiastic. He made us felt so welcome. The food are excellent. Everything are home made. We loved the beef and potatoes stew, the octopus risotto and the bolognese pasta. For dessert, we had a lovely chocolate-covered puff. The price is amazing. It is value for money. Highly recommended for anyone who want a traditional home-cooked meal in a wonderful family-oriented ambience. Concerned when we arrived because the place was empty and simply furnished and in the suburbs rather than in central Rome. Had we made the right choice for a meal with our friends from Canada who we hadn't seen for a couple of years? However, after a very friendly welcome from Miles we relaxed. The menu was interesting and the food nicely prepared and very tasty. The two boys at front of house were super-friendly, good fun and energetic. For a relaxed evening with friends, this proved to be a very good choice: friendly, tasty and excellent value. We booked for our first night in Rome. Our flight was delayed so we were a little late arrving. The hotel rang to let the restaurant know. This was no problem at all. The welcome was very friendly and the food and service was outstanding. This restaurant is a gem in the centre of Rome. We would definitely visit again when in Rome. Loved the restaurant. It is a "neighborhood gem!" It is on our list to visit on our next trip to Rome. Amazing food great service ! Best culinary ever experience we've had in Rome! Wonderful, authentic Italian food, with exciting flavours and welcoming, jovial staff. In particular loved the Italian cheese platter and the exciting sauces with the main course. The prosecco at the start and the limoncello at the end is a really nice touch; look forward very much to coming back! After dinner we all was happy with full bellies???? Great food, wonderful and charming staff and you immediately fell like you are part of the family. We visited the restaurant twice during our stay in Rome and had a great time. We will be back! Absolutely spectacular! One of the best meals we've ever had and by far the best in Rome. You will not only experience excellent service but you'll be among the locals. An unforgettable night!! Grazie! 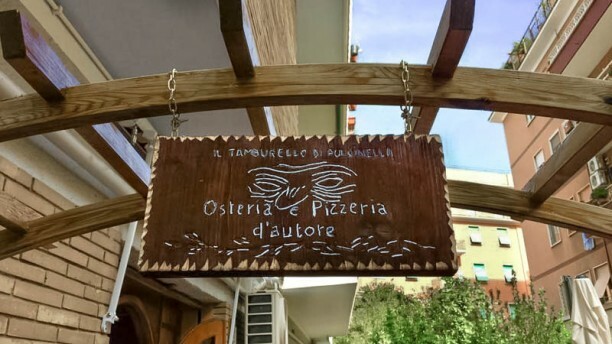 This was our second visit to Il Tamburello di Pulcinella, after returning to Rome three months after the first visit, and we could not have been made more welcome. The food and service were just as good as the first time and we will be returning again.